With 6.3 acres divided into nine paddocks, including a horse arena, this property is ideal for horse lovers. Add in a barn for accommodating horse trucks, two new stables and a garage with extra stables or tack shed/feed shed at the rear, and you have a property which is totally fit for equine purposes. Capturing all day sun, the four bedroomed home is set in a sheltered, well landscaped and low maintenance section. 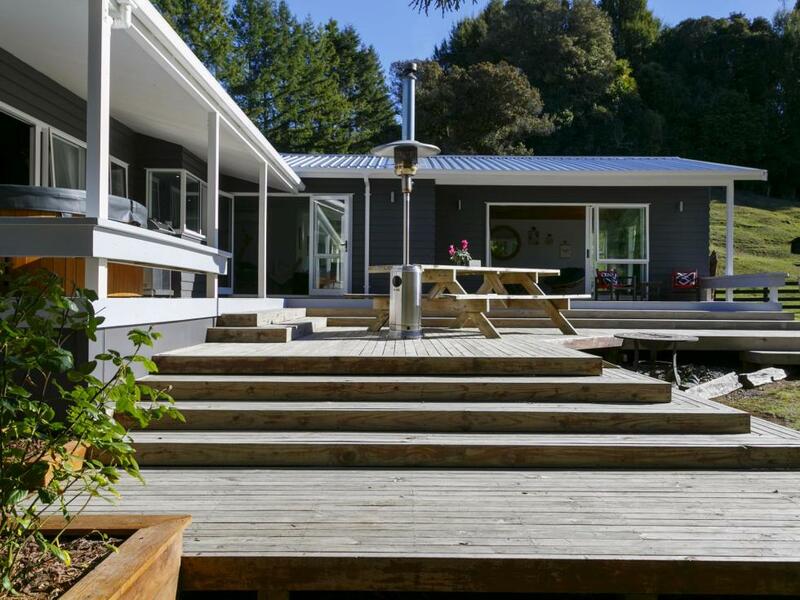 An open plan family room, lounge, dining and kitchen access covered decks both front and back. Being fully double glazed with a woodburner and two heatpumps ensures all round warmth. Four double bedrooms include a master with en-suite and walk in wardrobe. Sliding doors on to a north-facing deck are an attractive addition to the master bedroom. Most fences are post and rails and there are native trees on the property. Not only is town just ten minutes away but the close proximity to the National Equestrian Centre offers opportunities aplenty for anyone to indulge their equine passions. Call Penny today to check out the impeccable credentials of this horse lovers' delight. Boundary lines are indicative only.